Irish and Celtic music from Peat the Creel, The Willis Clan, Jesse Ferguson, Kennedy's Kitchen, Shishonnah, Laura McGhee, Jamie Smith's MABON, The Gothard Sisters, Murray McDowell, Ciara Considine, Gaelic Storm, Leaping Lulu, Celtic Cross, Brian O h'Uiginn. Listen. Like. Share. Then download 34 Celtic MP3s for Free! http://celticmusicpodcast.com Subscribe to the Celtic Music Magazine. This is our free newsletter and your guide to the latest Celtic music and podcast news. 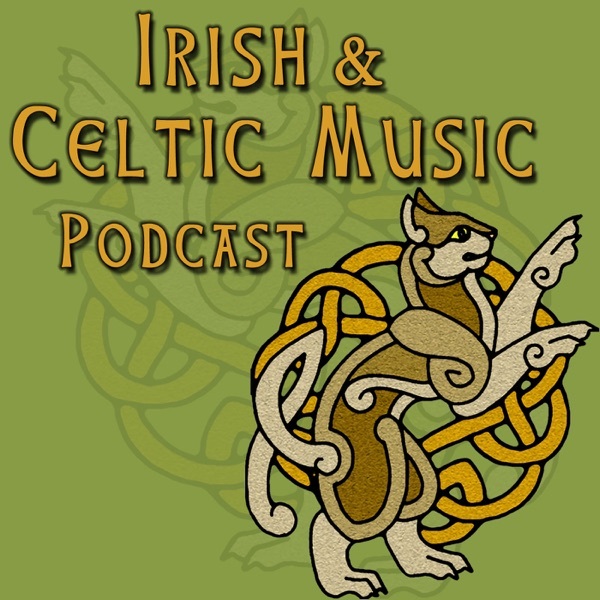 Remember to support the artists who support this podcast: buy their CDs, download their MP3s, see their shows, and drop them an email to let them know you heard them on the Irish and Celtic Music Podcast. Today's show is brought to you by Louisville Irish Fest The Louisville Irish Fest is held on the final weekend in September of each year and features traditional Food, Unique Gifts, Children’s Events, Irish Dancing, Libations and Music from the Emerald Isle. Enjoy music from Blarney Castle, Runa, and Keltricity. louisvilleirishfest.com. Notes: * Helping you celebrate Celtic culture through music. My name is Marc Gunn. I am a musician and podcaster. This show is dedicated to indie Celtic music, the little guys if you will. The world is full of artists who are amazing but need a helping hand. My goal is to give those people a voice. You are a part of that mission. I want to ask you to share this show and find more episodes at celticmusicpodcast.com. And you can support this show on Patreon. I am back from my Celtic Invasion of Brittany. And I'll tell you more about it in the podcast news section. I want to send out a very very special thanks to Steve Behrens (67 Music), Phil Duckworth (Grinning Beggar's Paddy Rock Radio) and Shannon Heaton (Irish Music Stories) for hosting the podcast these last three weeks. * CELTIC PODCAST NEWS The Irish & Celtic Music Podcast comes out each and every week due to the generosity of people like you. Your kind pledge of as little as $1 per episode pays for the production of this podcast, as well as my time in producing the show. You get shows before regular listeners and my deepest thanks. I want to thank to our newest patrons Andrew Rogers, Richard Ridley, Liisa W., Richard Ridley of Devils Water, Kathleen Becker, Jenny Trevor, River Godbee, Eugene Kohlbecker, Steven Lee. Miranda Nelson and Hank Woodward increased their pledges, and a special thanks to our Celtic Superstars: Wesley R Dunnington, Nancie, Kevin Long, Annie Lorkowski, Derek Lineberry, Lynda MacNeil, Bryan Brake, John Sharkey White II, Theresa Sullivan, John Bilderback, Shawn Cali. All of our patrons help you get a 2-hour special shows. Next up is 2-hours of Scottish music. I hope to have it out within the next couple o'weeks. Become a patron today! You can now buy 2017 Irish & Celtic Music Podcast t-shirts in our store at bestcelticmusic.net/shop. In addition to the shirt, you can also enjoy the 2017 Sainted Song Henge Collection which features the new shirt, a coffee mug, and some CDs. Find all of that in our shop. Your kind purchases promotes Celtic music and helps support this podcast. The Celtic Invasion of Brittany was incredible. One of the coolest things about the trip for me was learning more about the Celts before they settled in seven Celtic nations. I emailed my Celtic Invasion Vacations subscribers telling them I was considering adding another Invasion to Venice. One person responded saying it made no sense. Because what does Venice have to do with the Celts. The answer is a lot more than you would think. In fact, we learned in Brittany that one of the main Celtic tribes to settle the area near Vannes were the Veneti. If you follow the place names of where the Celts settled, one area was the Veneto. My step-dad is from Padova in the Veneto. Ever since I started playing Celtic music, he's experienced the Celtic influence in the Veneto which settled the region in the 9th and 10th century B.C. By the 3rd century b.c. they had migrated to Brittany in France. There's even a Po River in Carnac. The Po River is one of the main rivers in the Veneto. The list goes on and on. I'll try and do an episode of The Celtfather podcast with more details. Needless to say, it was a fascinating glimpse of history. It's amazing to realize Celtic culture can be found throughout Europe. If you want to experience more of the trip, I recorded a bunch of videos and set them to my music. There's a playlist on YouTube. https://www.youtube.com/playlist?list=PLW2ZqJYHA7BDmERZdMQz-HBtz4I-zn5SV * I WANT YOUR FEEDBACK: What are you doing today while listening to the podcast? You can send a written comment along with a picture of what you're doing while listening. Email a voicemail message to celticpodcast@gmail.com Aunt Margy posted on iTunes: "Fine variety of music presented with enthusiasm and a generous spirit. Producer welcomes suggestions." Graciela de Souza Oliver emailed through the website: "Hi, I really enjoy Irish and Celtic Music podcast. I listen to it on iVoox. What is the URL on Instagram? Thanks and congratulations for the initiative!" Rosalie Koontz emailed from Morton Grove, IL: "I just discovered your podcast and enjoyed the episodes I listened to. I shared it with my cousin and a friend. I was wondering if you have ever played any music by Spats Colombo on your podcast. They recently performed on Irish tv and I enjoy listening to them. Thank you for the great podcast." This Week in Celtic Music 0:24 "Otter's Holt" by Peat the Creel from The Barn Session 4:37 "Blast O'Reels" by The Willis Clan from Roots 10:23"The Wind that Shakes the Barley" by Jesse Ferguson from Folk Favourites 13:28 "The Barr of Chocolate/The Smashed Potatoes" by Kennedy's Kitchen from THe Birds Upon the Trees 17:51 "I Will Carry You" by Shishonnah from Elysian Dreams 21:50 "Commemoration" by Laura McGhee from Life Is Bigger Than a Dream 24:42 CELTIC PODCAST NEWS 27:48 "Summer's Lament" by Jamie Smith's MABON from Windblown 31:28 "Midsummer Jigs" by The Gothard Sisters from Story Girl 33:58 "Summer Moon" by Murray McDowell from Summer Moon 37:22 "A Summer Dance at the Crossroads" by Ciara Considine from Beyond the Waves 40:46 CELTIC FEEDBACK 43:00 "Summer's Gone" by Gaelic Storm from How Are We Getting Home? 47:10 "Summer Storm" by Leaping Lulu from Into the West 50:13 "Summer of My Dreams" by Celtic Cross from Shores of America 55:28 "Dancing the Summer Away" by Brian O h'Uiginn from Tionchar VOTE IN THE CELTIC TOP 20. It's easier than ever to do. Just list the show number, and the name of one or two bands. That's it. You can vote once for each episode help me create next year's Best Celtic music of 2017 episode. The Irish & Celtic Music Podcast was produced by Marc Gunn, The Celtfather. To subscribe, go to iTunes or to our website where you can become a Patron of the Podcast for as little as $1 per episode. Promote Celtic culture through music at celticmusicpodcast.com.